"Old Home Day, Foster, R. I." by Chas. H. Seddon, Providence, R.I.
Old Home Day, Foster, R. I.
Chas. 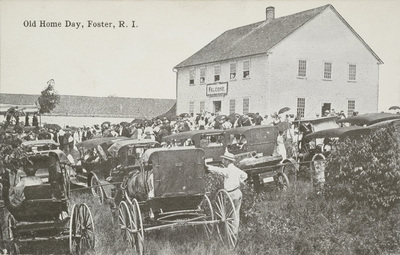 H. Seddon, Providence, R.I., "Old Home Day, Foster, R. I." (1915). Rhode Island Postcards. 218.